Massachusetts State Route 114 is an east-west highway in Northeastern Massachusetts. It runs from Lawrence to Marblehead. MA St Rt 114 passes through the following towns in Essex County. MA St Rt 114 is multi-plexed in Essex County. Massachusetts State Route 125, near Andover. 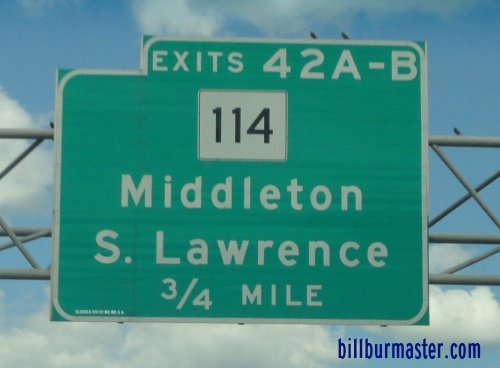 Massachusetts State Route 62, at Middleton. 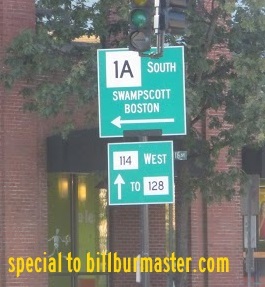 Massachusetts State Route 1A, at Salem. 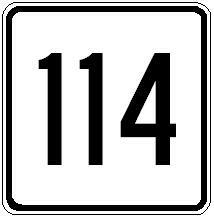 MA St Rt 114 intersects the following highways in Essex County. Massachusetts State Route 28, at Lawrence. Massachusetts State Route 133, near Andover. U.S. Rt. 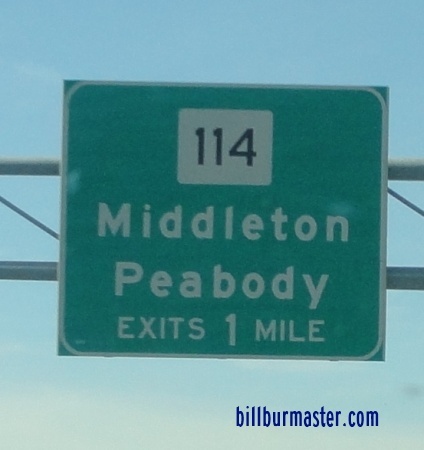 1, near Peabody. 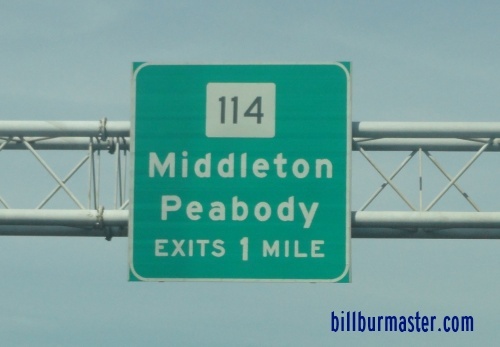 Massachusetts State Route 128, at Peabody. Massachusetts State Route 35, at Peabody. 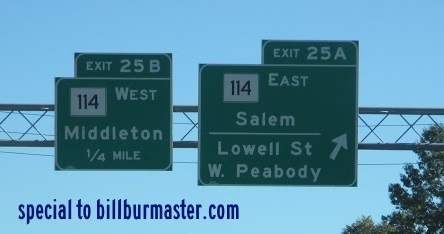 Massachusetts State Route 107, at Salem. Massachusett state Route 129, at Marblehead. 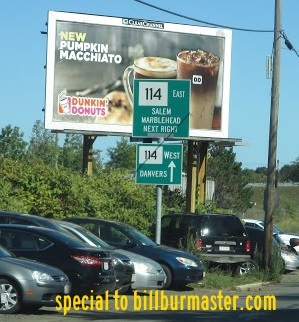 A BGS on MA St Rt 128. 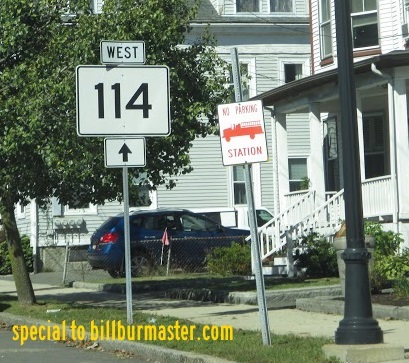 A guide marker for MA St Rt 114. 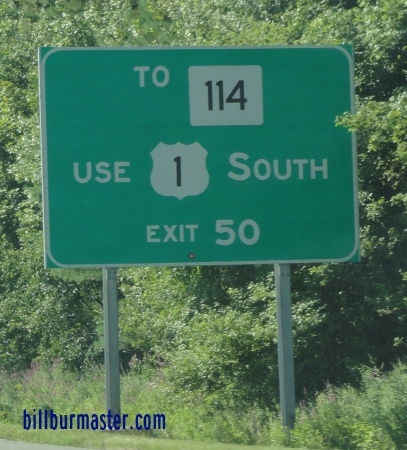 A guide marker on WB MA St Rt 114.